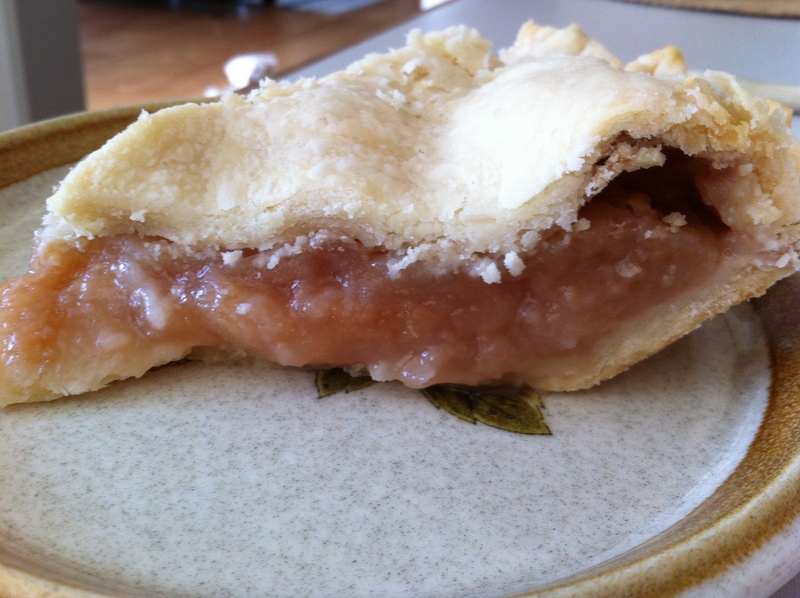 Here at the Rush Inn we love pie season, especially apple pie season which starts early July with the ripening of transparent apples and continues well into the fall. 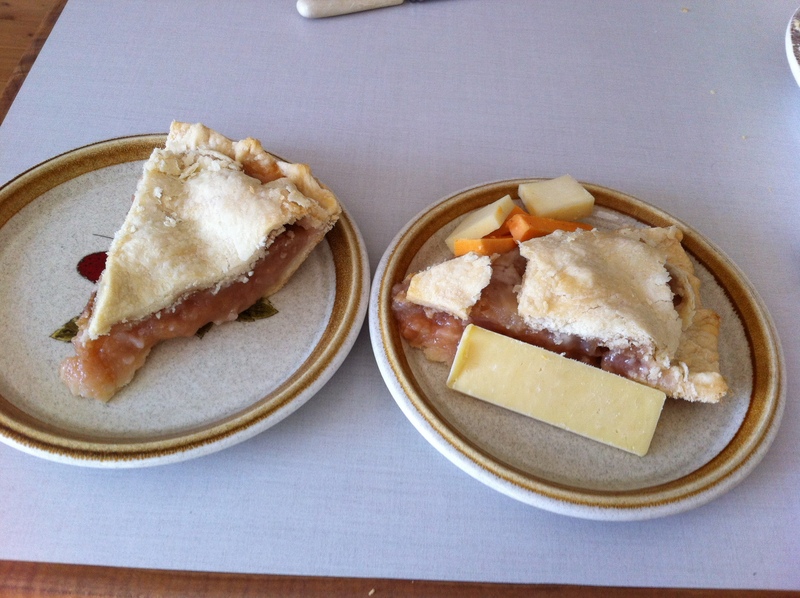 This particular pie was made with Gravenstein apples which started to fall at an alarming rate probably due to lack of rain. The deer like to eat these apples off the ground and we like to scoop them up, and get baking with them. I love the color of the apple filing once the pie has baked. On occasion, we’ll eat apple pie for breakfast, what a treat! Or we’ll have it at elevensies, which is sometime after breakfast but before lunch or, we’ll have it with tea late in the afternoon. As you can tell, we like to eat pie at any time of the day! Our favourite toppings are high fat Greek Yogurt (11% bf) or sharp cheddar cheese.